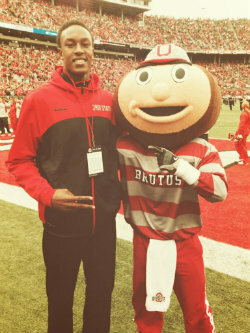 Myles Turner Commitment Preview: What are Ohio State's Odds? The past year has been a long, public process for Myles Turner, but his decision day is finally here. Compared to a typical, lauded high school basketball star, Turner's recruitment was delayed. He suffered a broken ankle in his sophomore year, which prevented him from playing in AAU events during the summer of 2012. Thus, Turner was somewhat of a mystery to high-major college programs. That all changed in the spring and early summer of 2013. While schools such as Oklahoma State and Texas A&M developed an early relationship with Turner, the majority of programs on his final list began their efforts, in earnest, last April. In that respect, Turner is unlike the recruits who are able to make informed decisions before their senior year. He spent his first official visit on a trip to Columbus, taking in a rain-soaked affair at Ohio Stadium. Since Turner's October tour of Ohio State, he's been on official visits to Oklahoma State, Kansas, Duke and Texas. He also took unofficial visits to SMU and Texas A&M. 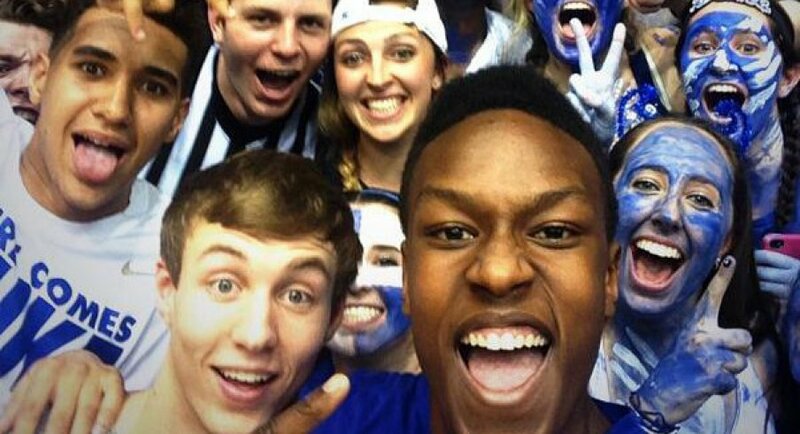 The top recruiting class in the country doesn't need Myles Turner to validate its consensus No. 1 ranking, but his skill set could be of great use. Him and the fellow 6-foot-11-inch Jahlil Okafor would be a nightmare for opposing teams who try to attack the rim. Their offensive talents would also mesh well. "Coach K has preached that the two can co-exist and even would play them together, which would give Duke a very formidable front line," said Brian Horace, who covers the Blue Devils for DukeBlogger.com. "With the ability of Turner to hit the mid-range and short-range jump shot, he could draw defenders away from the lane and clear space for Okafor to operate." Duke loses Jabari Parker and Rodney Hood to the NBA Draft, but the incoming freshman ease the sting of their departures. In addition to Okafor, head coach Mike Krzyzewski brings in five-star point guard Tyus Jones (also a one-time Buckeye target), five-star forward Justise Winslow and four-star wing Grayson Allen. Horace does not believe the chances of Turner joining them are particularly high. "Clearly the coaches believe there is still a chance, otherwise I can’t see why they would bother with the in-home visit, last week," Horace said. "I would say the good money would be on Texas or Kansas, but it’s hard to say, as there isn’t a team on his list that doesn’t already boast a decent front-court. Duke, however, is probably on the outside looking in." The Jayhawks come into today as one of the perceived favorites for Turner's services. Over 40 percent of the writers on 247Sports' Crystal Ball predicted he'll pick KU. Since last summer – and even after adding a commitment from Cliff Alexander – many predicted he would head to Lawrence. When Joel Embiid declared for the NBA Draft, it officially opened a spot for Turner. "Bill Self loves having a true rim protector on the floor, said Rustin Dodd, Jayhawks beat writer for The Kansas City Star. "Theoretically, Turner could slide into the hole left by Embiid's departure, but it's probably not that simple. They have a lot of bodies returning in the front court and it'd be interesting to see how it would all fit together." Including the sure-fire lottery pick Embiid, Self produced 10 big men that turned into NBA Draft picks. That's something Turner can't ignore. "Self does have a solid track record of developing big men, and KU will always play inside-out," Dodd said. "So, he'd fit the system, as well." Turner, on his October visit to Ohio Stadium. As much as Duke and Kansas would love to add Turner to their 2014 classes, the Buckeyes are truly in desperate need of a talent like him. Ohio State will bring in Temple transfer Anthony Lee, but his offensive potential is not in the same stratosphere as Turner's. Unless he makes large strides over the summer, Lee does not have range out to the three-point arc like Turner. Buckeye fans are also well aware of Amir Williams' limitations, particularly when it comes to holding onto the basketball. Turner, even with his lanky frame, continues to improve his low-post game and has, at the very least, displayed solid hands. On the other end of the floor, combine two 6-foot-11-inch post players with Thad Matta's typically strong perimeter defense, and it would be nearly impossible to score on that OSU team. Since his October visit, the Buckeyes have been trailing the other schools for Turner's commitment. Five of the teams on his list requested and received an in-home visit with Turner, last week. Ohio State and SMU were not among them. "Coaches didn’t ask for them," David Turner, Myles' father, told SNY.tv. "If coaches wanted one, we definitely would’ve gave them one." That's either a sign of supreme confidence or resignation (I'll side with the latter). While Ohio State's chances have fallen apart, despite Matta's relationship with Turner, Oklahoma State has been there since the beginning. Before most other high-major programs offered Turner, the Cowboys' staff was in full force at Turner's games and open gyms. In the end, it might not pay off, but you can't blame them for trying. John Helsley, who covers Oklahoma State sports for The Oklahoman, thinks OSU would immediately challenge Kansas if Turner picked the Pokes over the Jayhawks. "OSU already has good pieces in place, and coming with their latest recruiting class," Helsley said. "Turner would give the team a focal point and open things up on the perimeter for Phil Forte and closer to the basket for Le’Bryan Nash, Michael Cobbins and Kamari Murphy." Head coach Travis Ford is looking for someone to fill the void left by Marcus Smart's departure. Obviously, Turner isn't a point guard, but he would command a large percentage of the offense. With that many touches and a close proximity to his hometown of Euless, Texas, Oklahoma State cannot be completely discounted. "Turner hasn’t tipped his hand – at all. But he is on record as saying that among all the schools that are recruiting him, he felt the deepest relationship with OSU’s coaches," Helsley said. "So there’s some comfort there, as well as a knowledge that he’d step in and play as many minutes as he can handle, as the No. 1 option. That doesn’t necessarily come at Kansas or Texas." A short time ago, Southern Methodist's chances with a recruit of Turner's caliber would be slim. In the wake of a revival under head coach Larry Brown, and securing a commitment from Turner's friend, five-star point guard Emmanuel Mudiay, they're suddenly a contender for the local star. Turner even called SMU a "dark horse," in an interview with Mustangs Madness writer Omar Majzoub. His thoughts on the Mustangs may just be a terrible pun (as well as another annoying Katy Perry song), but Turner backed it up with an unofficial visit to SMU's campus. It's not just about proximity (roughly 30 minutes from Turner's hometown) or Brown's experience at the NBA level. As they proved by nearly making the NCAA Tournament, last season, the Mustangs are legitimately talented. "SMU is going to be pretty loaded next year, with or without Turner. They are only losing two seniors and returning their top-two leading scorers in Nic Moore and Markus Kennedy," Majzoub said. "Turner's ability to score in the post and play an inside-outside game would greatly benefit the Mustangs, who, at times, struggled to score in the half-court, last season. Turner would also really help SMU's image around the country." Considering the Mustangs made Turner's final list, it says a lot about where the program is headed. Still, they're well behind the other six schools chasing Turner, in terms of basketball success. "I don't think Turner sees SMU as being on the same level as the others schools recruiting him," Majzoub said. "I think the fact they don't have great history as a program and they play in the AAC really hurts their chances." Also damaging their chances is they, along with Ohio State, did not set up an in-home visit with Turner, last week. "Mudiay has said before 'Myles knows how good we could be if he came here, so I'm not bothering him about it,'" Majzoub said. "Turner may like a lot of things about SMU, but I don't think it's enough to get him to chose the Mustangs over some of these other major programs." Combining hometown proximity, historical success and their ability to send players to the NBA, Texas is considered the most likely landing spot for Turner. Turner draws comparisons to Aldridge and is a Durant fan. Without last season's success, however, the Longhorns might not be in this spot. Coming off an under .500 season and an appearance in the College Basketball Invitational, Rick Barnes' jumped off the "hot seat" and led his team to the NCAA Tournament. Behind breakout, soon-to-be junior Cameron Ridley, Texas went 22-9 in the regular season. With no departing seniors, they're poised for more. Jeff C., who writes about Texas basketball for Barking Carnival, thinks Turner would complement Ridley and play at the "four" spot. "With that cast, Texas would have a capable four-out offense and a pair of dominant defenders patrolling the paint," Jeff said. "Further, Texas is counting on improvement from young guards like Isaiah Taylor and Javan Felix. The Longhorns look like a Big 12 contender whether Turner comes or not, but adding Turner will have Texas fans dreaming Final Four." Texas fans might be pessimistic about their chances of landing Turner, based on Barnes' history recruiting in-state. For example, he's recently missed on the aforementioned Justise Winslow and Emmanuel Mudiay, plus Marcus Smart, Julius Randle, Aaron Harrison, Andrew Harrison and Kelly Oubre – just to name a few. 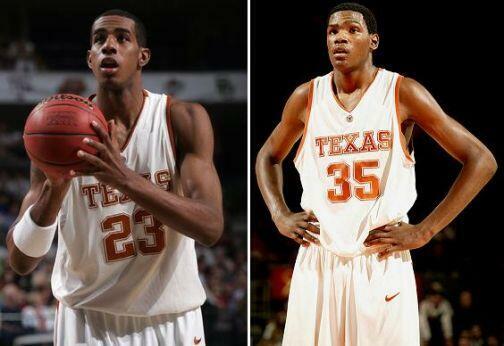 Still, Texas insiders are optimistic Turner will end up in Austin. "He has made multiple unofficial visits to Austin, and he saved his final official visit for Texas after making a promise to Barnes," Jeff C. said. "Further, Turner has spent his weekends in Houston working out with John Lucas, and it just so happens John's son, former Longhorn Jai Lucas, is now a special assistant under Barnes." He isn't the only one predicting Turner will choose the Longhorns. It's trending that way on 247Sports' Crystal Ball feature, and other Texas writers are leaning the same way. Texas," said Matt Cotcher, Managing Editor of Horn Sports. "From what I've heard, Kansas is his second choice, but it's a distant second, at this point." The most surprising school on Turner's list, considering recent success, is Texas A&M. He's serious about the Aggies, taking an unofficial visit to College Station in March and reportedly welcoming head coach Billy Kennedy for an in-home visit, last week. Kennedy has to go a long way to fight the perception of his basketball program. In this case, the reality is he's never reached the NCAA Tournament and is only 50-49 in three years on the job. Yet, the on-court draw might be the relative weakness of the SEC and the Turner's high usage in the A&M offense. "Turner would add size and strength to an Aggies team who really had trouble on the boards last year especially in the SEC," said Mike McCoy, who covers Texas A&M sports for ABC40 in College Station. "Looking at the competition in the SEC, especially now with Kentucky bringing six players back, a player like Turner could make A&M a contender right away, as they are bringing back 11 players on what is a forward and guard heavy team." Off the floor, Turner has spoken about his solid relationship with Kennedy and the Aggies' staff. The Euless native would also only make a three-hour trip from home, if he chose Texas A&M. Despite the proximity, McCoy does not believe that will sway Turner to College Station. "Attendance to A&M basketball games is at an all-time low and in plays maybe fourth fiddle as far as buzz goes," McCoy said. "Turner would be an instant starter and star for this team, but I just don't see him ending up in Aggieland."